this morning i opened my box of fruity pebbles for breakfast, and suddenly i was three years old again. 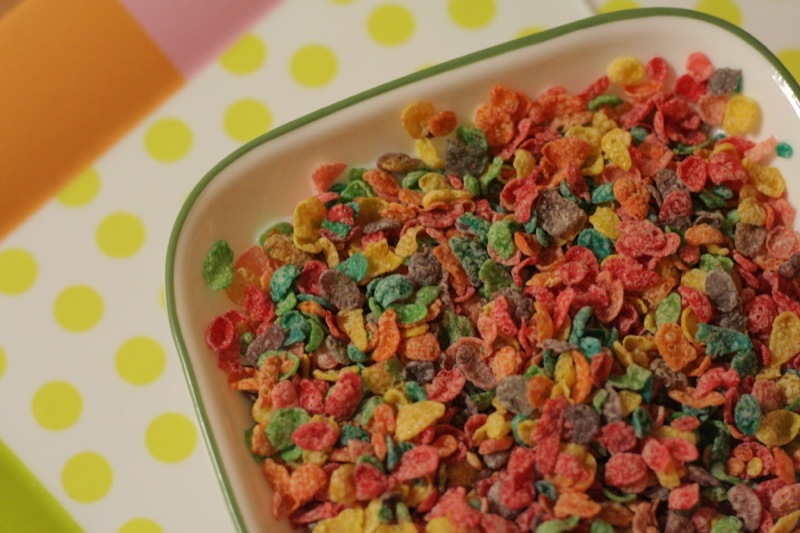 i used to love this cereal – it was a regular in our house because…well…i was a bit of a picky eater back then (i know, can you imagine?) so whatever i ate, i ate a lot of. i specifically remember going on a trip with my parents to texas – my dad had a business meeting in houston, so we all went. i was used to drinking whole milk, but my parents got me a little carton of 2% and a box of fruity pebbles so i’d actually eat something. i was perplexed and indignant. “when can we go back to america? the milk doesn’t taste good here!” after all, it had taken us three million hours to get here, just like it did when we went to pakistan, and drinking a different type of milk always tastes funny. that was enough proof for me that we were *not* in america. My child; I am riding the train to work – and your write up took me back to those fantastic years when you were growing up. We are blessed and absolutely honored to be able to spend those times with you. You made our life “fun” in being parents then and you continue to do so upto this day. We love you. I better stop otherwise I will start crying and I am in the “quite car” today and the train rules do not allow crying in the quite car.